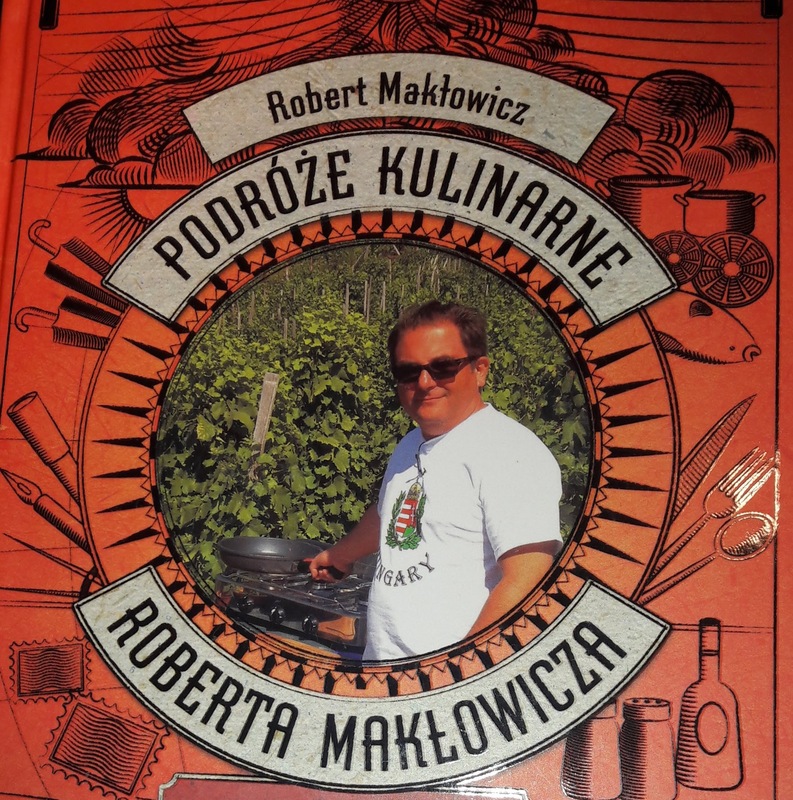 Zupa is soup in Polish – it is a huge topic and I could easily write a book on soups alone. 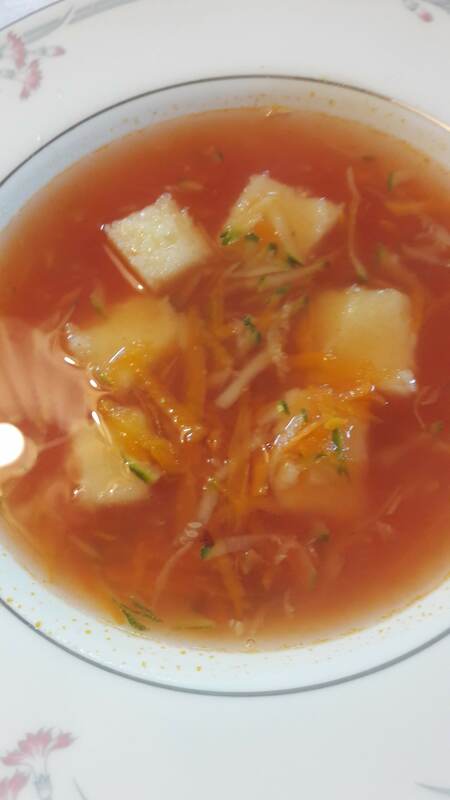 The words zupa and soup originate from either the French soupe which is a broth or the German sop which is bread used to soak up soup or the Italian zuppa which is a country vegetable soup. I intend to cook and write about soups in 2019. Soup is traditionally the first course of the main meal of the day – served usually sometime between 12.30pm to 5pm. For a larger occasion, the first course can be a cold starter, followed by the soup and then the main course. 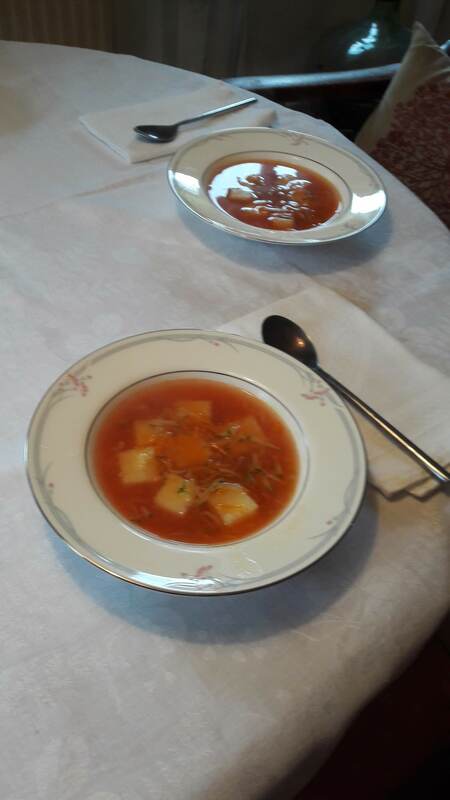 My cousins in Poland found it hard to imagine a meal without a soup to start with! “Polak bez zupy robi się smutny“ – A Pole without soup becomes sad. Nina Froud is a cookery book writer & editor of the 1961 & 1977, English translations of the 1938 Larousse Gastronomique. This I think is very true and especially so in the making of soup. There are so many, many soups – where do I begin? These are just a start! My mother used to tell this story to me when I was young – I loved it then and since I have cooked myself I love it even more. My mother would vary the ingredients so that each time she told it, it could be a different recipe! Once upon a time a stranger, with a knapsack on his back, comes to a village and sits down on a path. He gets out a little cooking pot and pours in some water from a container and lights a little fire underneath and sits waiting for the water to boil. Whilst waiting he unwraps a shiny stone which was covered in a linen cloth and pops this into the water. Slowly the villagers come out, curious to see what he is doing. They ask him what he is doing – “making Magic Stone Soup – the best soup in the world” he replies. As the water starts boiling the stranger takes out a ladle and takes a sip. The villagers ask him how it tastes. “I can get some potatoes” said an old man, who then went off to get them. The stranger peeled and chopped the potatoes and added them to the pot. After a few minutes the stranger again takes a sip of the soup, saying it tastes good but that it would taste even better with some onions. “I can get some onions” said an old woman, who then went off to get them. The stranger peeled and chopped the onions and added them to the pot. ….here my mother would go on adding ingredient after ingredient, varying them every time she told the story …. The stranger again takes a sip of the soup, saying it tastes good but that it would taste even better with some salt & pepper. “I can get that” says a young boy who then went off to get some. When he comes back the stranger seasons the soup and declares it nearly ready. “It just needs some flat leaved parsley to garnish it”. “I can get some” says a young girl. When she returns the stranger chops the leaves and sprinkles them on the soup. The stranger then ladles generous servings of it into bowls and handed them around to all the villagers and also has a bowl himself. He then takes out the stone, wipes it dry and puts it away into his knapsack. Soup plays such huge part in Polish meals and I will be writing much on the subject soon (I could write a huge book on Polish soups alone). Soups are usually served with some sort of accompaniments or garnish. Some soups have traditional accompaniments but every cook will improvise with what they have. These accompaniments include a wide variety of pasta and noodles, dumplings, rice, potatoes, croutons, hard-boiled eggs, pulpety (little meatballs) chopped, cooked sausage and crispy fried bacon and so on …. the list is endless. Many of the soups to which these are added are of the clear consommé type. Very small pasta shapes are used or larger pasta is cut into small pieces. 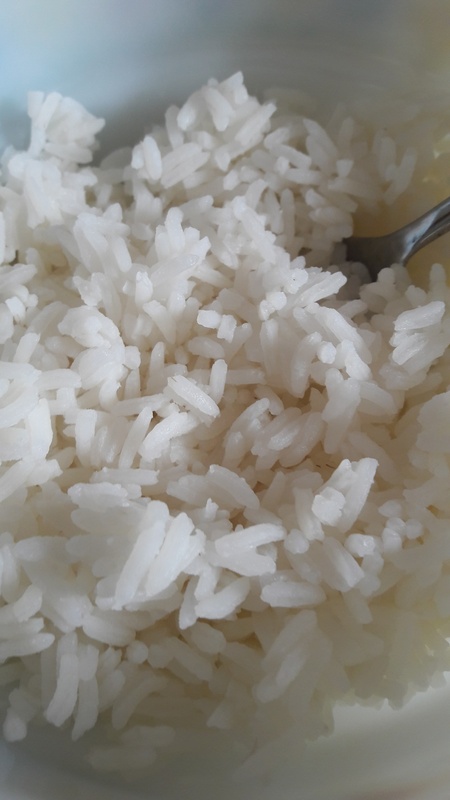 The pasta, noodles or rice are all cooked beforehand and a small amount is placed in the soup dish and hot soup poured over them to serve. Often a small amount of pasta, noodles or rice is kept back from when they are being cooked for another dish – these are best kept in the fridge. These are sprinkled on top of the soup when serving. 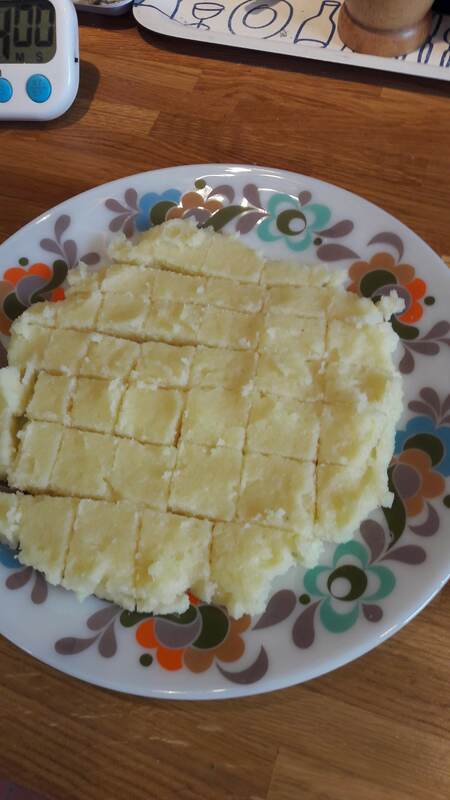 The Polish for semolina is manna as in the bible, Exodus 16:1-36, when the Israelites ate manna from Heaven. This can be made with coarse or fine ground semolina. 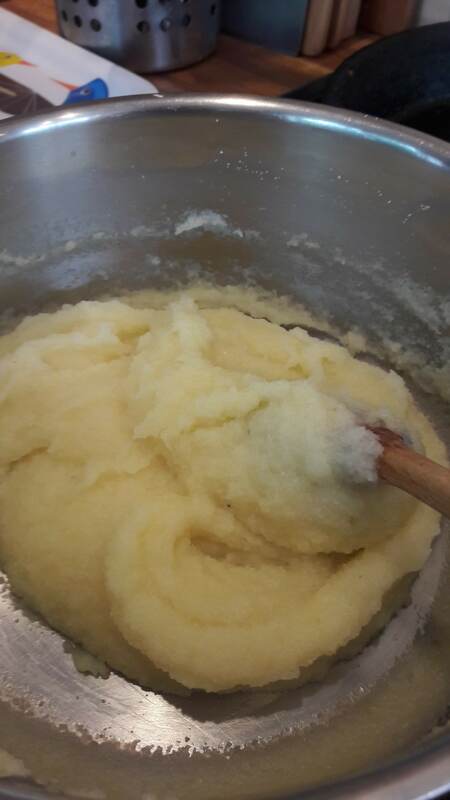 Mix 150g of semolina and 1/2 teaspoon of salt with cold water to make a thin paste. Place the mixture in saucepan and heat gently, stirring with a wooden spoon. As the mixture starts to thicken keep adding more water and continue heating and stirring. Do this for a couple of minutes. When you have a thick paste pour it onto a cold plate and leave it to go cold. 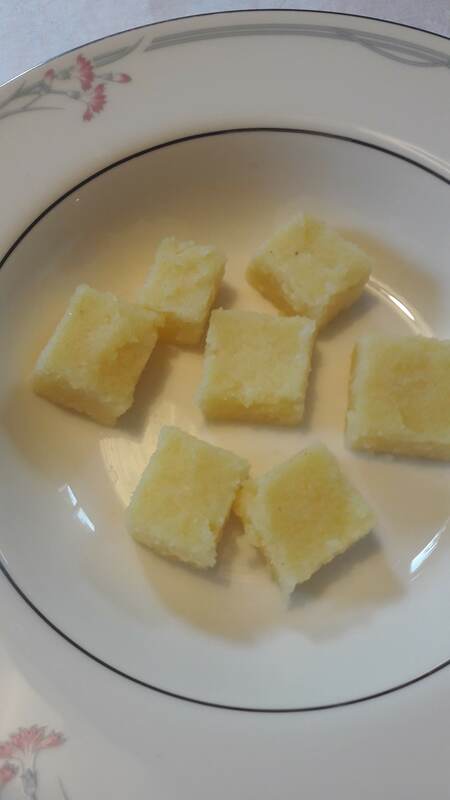 When cold, the semolina is cut into cubes and these are placed in the bottom of the soup dish and hot soup poured over them. This translates as poured noodles. My mother made these often when I was young. Beat 2 eggs and 1/2 a teaspoon of salt. Slowly mix in 6 tablespoons of plain flour until the mixture is like thick cream. To cook them, slowly pour batter into salted boiling water. Cook for around 2 minutes and remove them with a slotted spoon and place in a colander. You can cook these by pouring the batter into the hot boiling soup and then serve immediatly. However the starch can make the clear soup cloudy. Mushroom filled Polish pasta – known as ‘little ears’ are added to barszcz – beetroot soup. 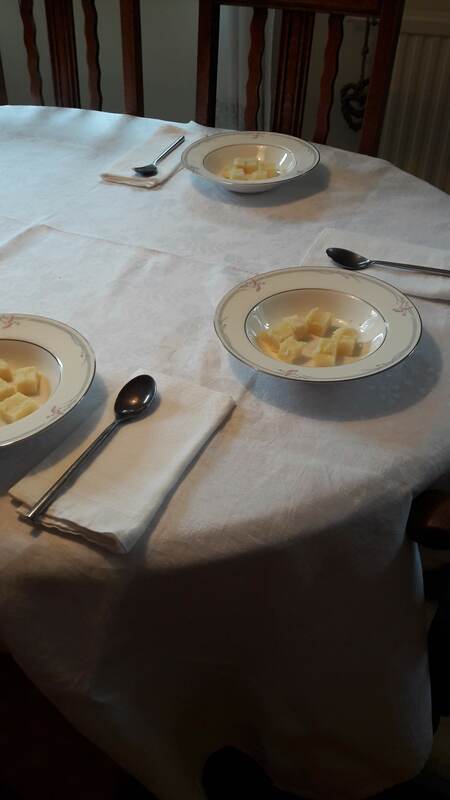 Often served on Wigilia – Christmas Eve. 3 or 5 are usually added. 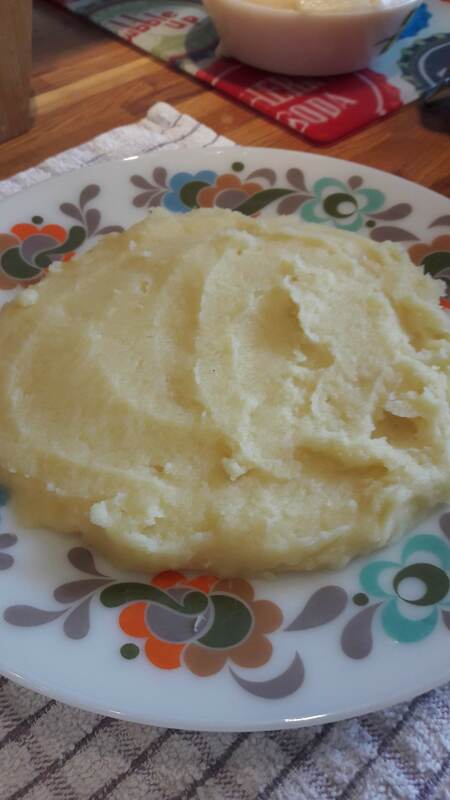 Little Polish potato dumpling (gnocci) – cold cooked ones can be cut up into smaller pieces for the soup. Rolled up pancakes are thinly sliced and add to the soup. The chopped eggs are sprinkled on top of the soup or several pieces ‘floated’ on top of the soup when serving. These are made using pancakes which are filled with sauerkraut & mushrooms, meat or cheese then folded and rolled, then dipped in bread crumbs and fried. I have found a firm that has these ready made for frying and I think they are good. 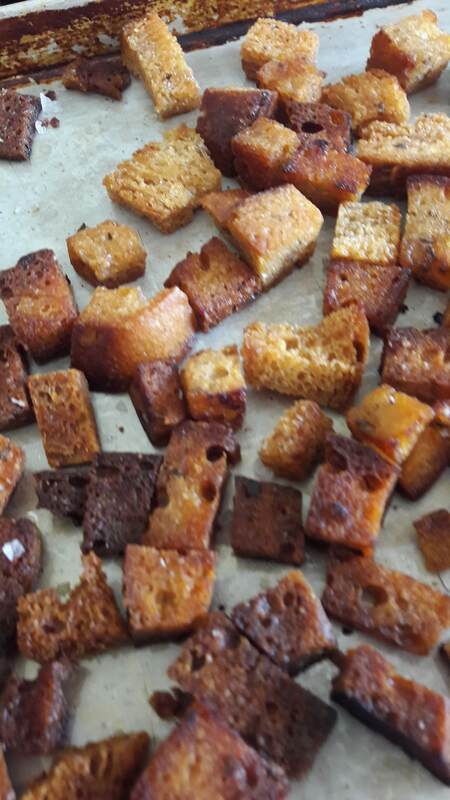 I fry them in quite a lot of oil on both sides and then put them in the oven at GM4 – 180°C for around 20 minutes. I have not made them from scratch myself – I must do this soon . This is similar to an English sausage roll, often made with a yeast dough pastry, and filled with pasztet (paté), meat, sauerkraut & mushrooms or cheese. I have eaten these in Poland in cafes and restaurants but not made these myself – something else to try out soon. 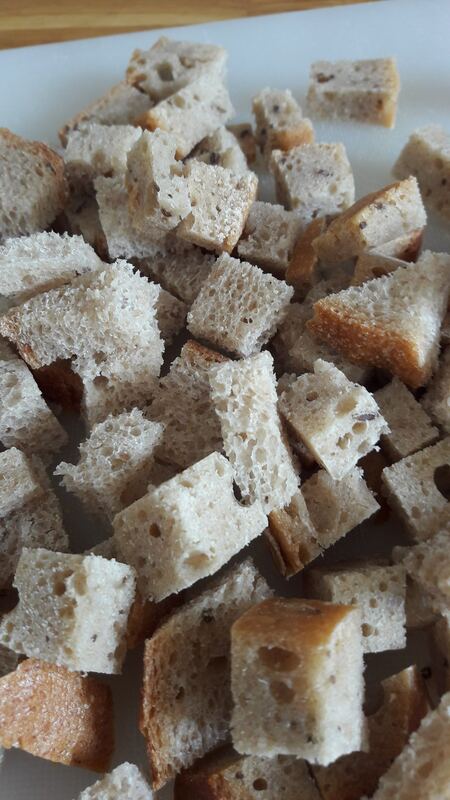 Bread can be served with soup – it is usualy not buttered. 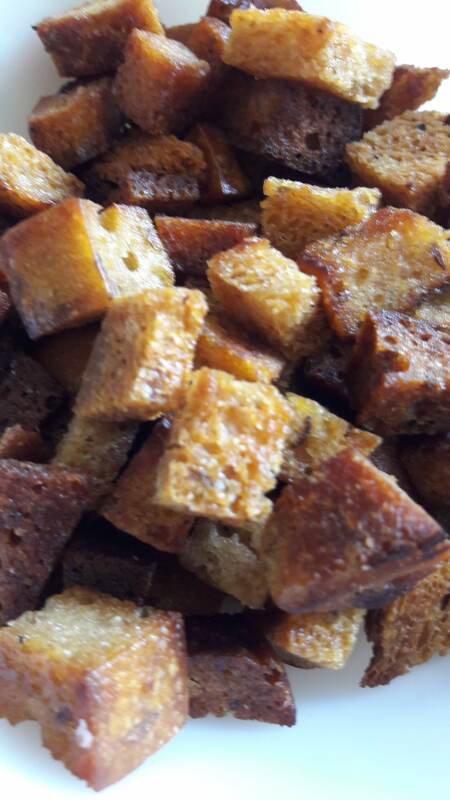 Croutons are called grzanki in Polish – the word is plural and means something that have been heated up. 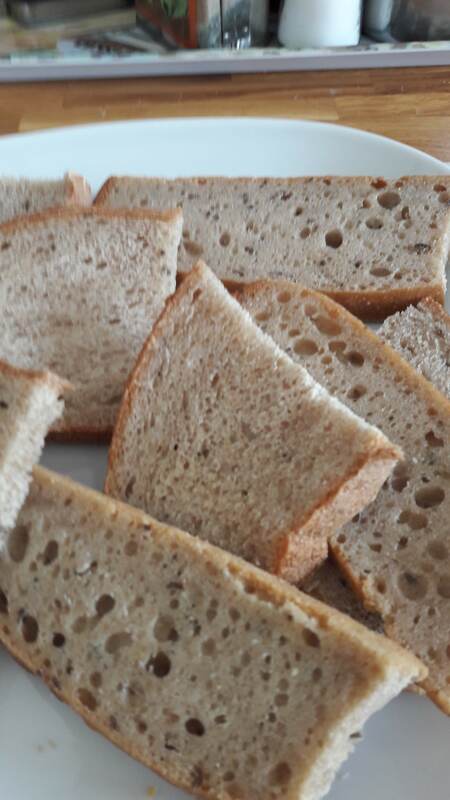 I used some of my own sour dough loaf. 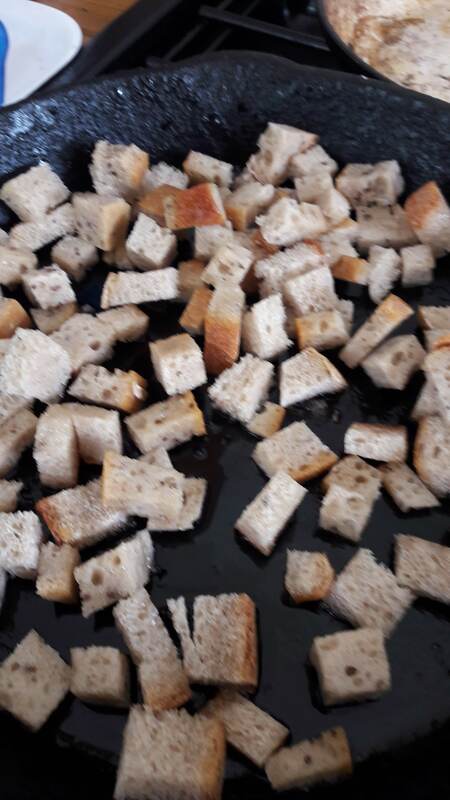 Toss the bread cubes in the oil and fry gently for a few minutes. 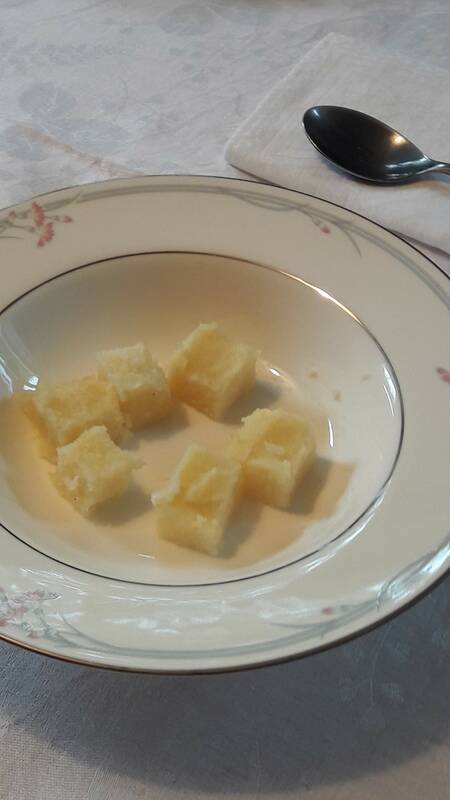 Place the cubes onto a baking tray and put in the oven for around 5 – 10 minutes till golden. Add several to each serving of soup. Sprinke with salt flakes or ground salt and eat them as a nibble or little snack. 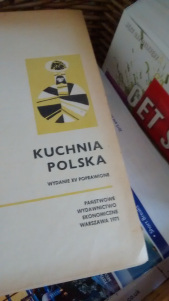 The Polish word pulpety comes from the Italian word polpette & that word come from polpa meaning pulp. The word polpette has been used in Italy since the 15th century – though of course meatballs in many forms are to been found in most cultures & countries and are a way of using every last piece of carcass. 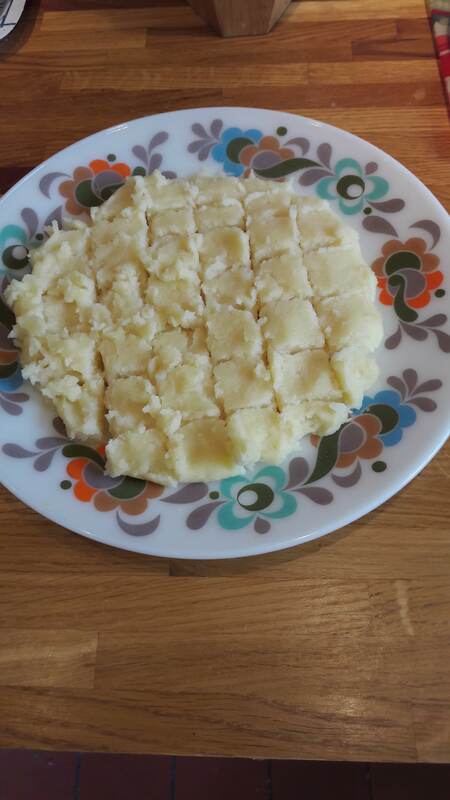 Pulpety in Poland are made from meat or fish – I am just going to cover meat in this post. Meat pulpety can be made from fresh meat or from cooked meat. I prefer the fresh meat ones and if I have any roast meat leftovers I am more likely to use them up in other ways such as in Pierogi – Polish Filled Pasta fillings. Fresh meat pulpety are very similar to kotlety mielone. The difference being that pulpety are very small and they are boiled/simmered not fried. Pulpety can be simmered in water or stock – I always uses stock – either chicken or vegetable. 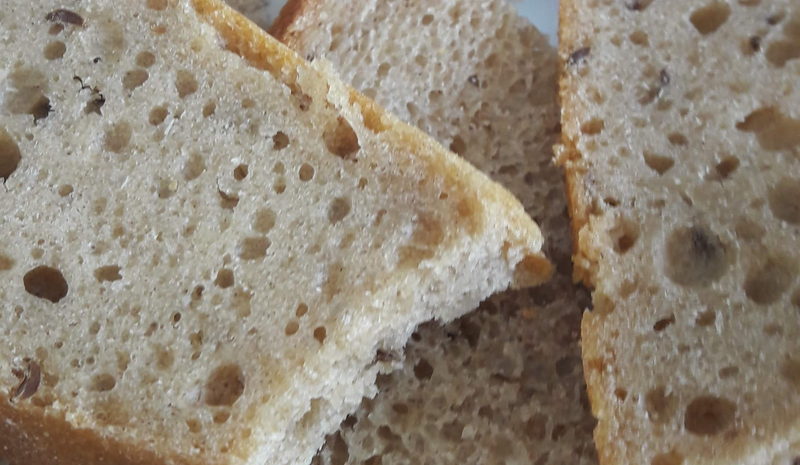 1 slice of white bread or bread roll, left for half an hour in a bowl with a little milk – do not use the excess milk just the wet slightly squeezed bread. Some flour for your hands for shaping. Stock / bullion – chicken or vegetable – can be from a stock cube. Grate the onion on a fine grated or use an electric mini-chopper. In a large bowl mix all the ingredients together except for the dried breadcrumbs, it is best to do this using both hands, making sure that all the ingredients are thoroughly combined. 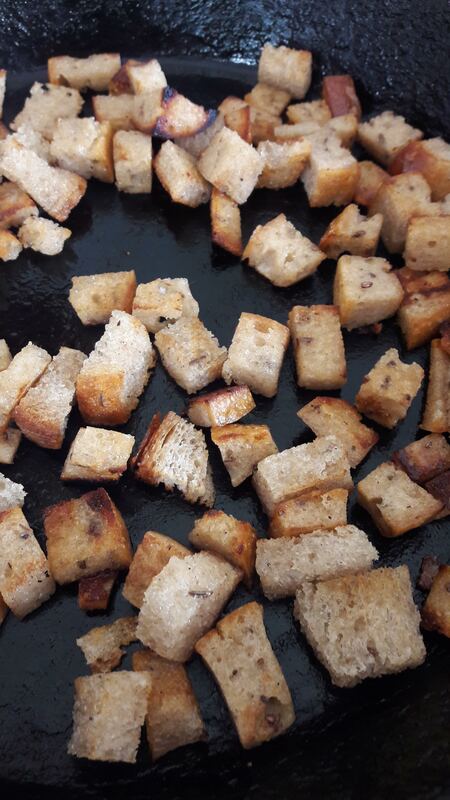 Add enough dried breadcrumbs so that it is a firm mixture. Put some flour in a dish for your hands to make it easier to shape the pulpety. Pinch off small bits of the meat mixture and roll the piece between your hands to make small round balls and place these onto a floured board or tray whilst you make them all. You can leave these to chill in a cool place or in the fridge if you have time. In a large pan heat up some stock and drop the pulpety into the boiling liquid and then let them simmer for around 5 minutes. Remove them from the liquid with a slotted spoon. 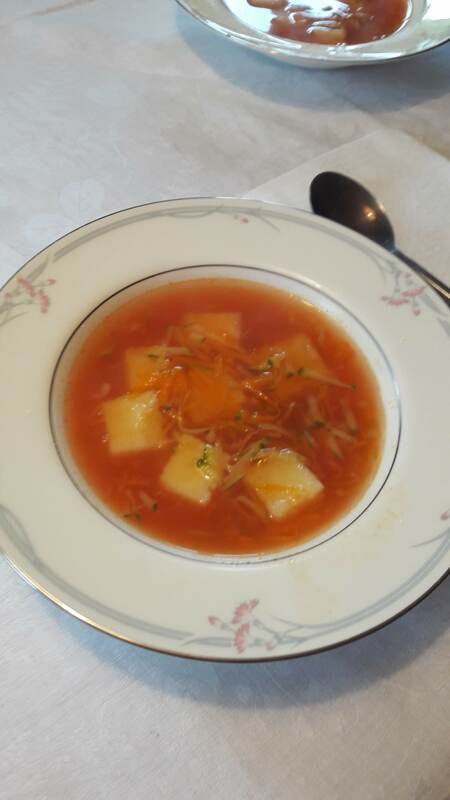 Polish style would be to have around 5 pulpety in a bowl of soup – but often I do these for a light lunch and have a large bowl of soup with lots of pulpety per serving. In the photograph below, they were served in a tomato soup. The varieties here are endless – make one of your favourite sauces for example mushroom or tomato and drop the cooked pulpety into the sauce and let them simmer. You can then serve them with potatoes, pasta, rice or to be very Polish – buckwheat.